Hello everyone! 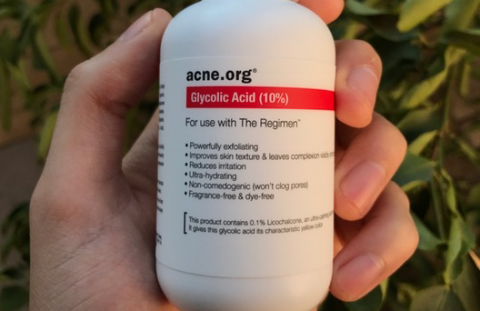 Thought I’d continue on with reviewing the acne.org products. 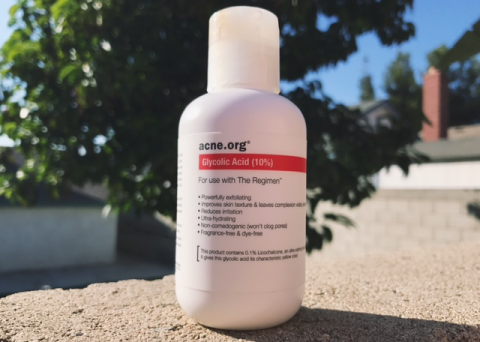 In case you missed or want to read my last post about the Acne.org Regimen: click here. Today, we will be focusing on the Acne.org AHA+ (Glycolic Acid 10%). Let’s waste no time and get right into it! 3 How to Use the Acne.org AHA. The alpha hydroxy acid (AHA) in this formula. Glycolic acid is a water soluble chemical exfoliant with the lowest molecular weight of all the AHAs (e.g. lactic, mandelic, malic), making it particularly more powerful because of its increased penetrating abilities. The caveat being, that this also makes it potentially more irritating. As an aside, glycolic acid requires a pH of 4 or lower to effectively exfoliate the skin. 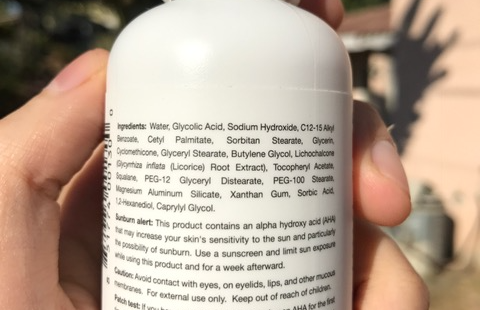 The acne.org AHA is formulated at this pH, meaning it will do all that I listed above. A humectant that moisturizers the skin by drawing water from the environment and deeper layers of skin (dermis). A soothing plant extract that’s good for red or sensitive skin. It’s also great for treating skin discoloration like hyperpigmentation because it inhibits the tyrosinase enzyme that’s responsible for the production of melanin (the culprit behind skin tone irregularities). Better known as Vitamin E. Or uh…. 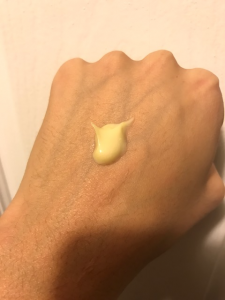 that liquid you might have once tried to squeeze out of a capsule because you heard it was good for acne scars. No? Just me? Awkward. Anyway…. it’s an antioxidant, and like licorice root extract also inhibits tyrosinase but to a lesser degree. It may also help heal wounds, but the convincing studies illustrating this have been done on mice. The ones performed on humans are a little less conclusive on this front. Like glycerin, this is another humectant that works in much the same way. So overall, a pretty solid but basic AHA formula. The addition of licorice root extract in here is especially awesome if you’re looking for extra ways to address hyperpigmentation or other skin discoloration concerns. As an aside, if you don’t know how to treat hyperpigmentation or the red marks left over from old acne, make sure to check out my guide about treating PIH and PIE. It goes on like a water lotion, and spreads super easily. There is an initial stinging or “tingly” sensation when it’s first applied, but this is very normal with glycolic acid products. It definitely does leave behind a bit of an oily and shiny residue, which probably isn’t ideal for those with oiler skin types. However, considering AHAs like glycolic acid increase the skin’s sensitivity to the sun, you should ideally only be wearing this at nighttime, so the oily-fry-cook look shouldn’t be that much of a concern anyway. You can certainly feel the hydration it provides once it’s dried on the skin (has a minimal tacky feeling). To this day, its one of the most moisturizing AHA products I’ve tried, so if you have dry or normal skin this would be a great option. As far as the scent goes, it’s fragrance free but smells like sour… I don’t know. It’s hard to describe. Just smells sour. Like sour tape???? Yeah, I got nothing for this one. Sorry! My smelling abilities must be off today. How to Use the Acne.org AHA. Because glycolic acid is a pH dependent product, you have to make sure you’re using it in the right part of your skincare routine, otherwise you risk rendering the product useless or having a skin reaction. To make this easy to understand, here’s a sample routine taking into consideration many many steps. Of course, not all of this stuff may apply to you so just make sure to eliminate the steps that are not relevant. Oil cleansing method (OCM) or oil cleanser. Acid or pH adjusting toners. For example, the Pixi Glow Tonic. Low pH serums. For example, ascorbic acid (vitamin C). BHAs like salicylic acid. You must wait 20-30 minutes before the next step. Use the Acne.org AHA here. Make sure to wait 20-30 minutes before moving on to the next step. Occlusives likes aquaphor, cerave healing ointment, vaseline etc. Note: Asian skincare routines may have additional steps not listed here. A basic but effective formula that includes 10% glycolic acid, glycerin, squalane, vitamin E, and licorice root extract for some added hyperpigmentation fighting benefits and soothing properties. Moisturizers, lightens and brightens skin tone, helps treat hyperpigmentation, smooths skin, reduces roughness, and helps acne (though minimally). A little goes a long way and it spreads very easily. It’s probably best for drier skin types considering it’s rather oily consistency. Got no complaints! Comes in a squeeze tube that allows for easy product dispensing and application. Very well priced for the benefits and amount of product it comes with. A moisturizing 10% glycolic acid exfoliant with an effective 4.0 pH. I think this would best be suited for those with dry or normal skin. It might be a bit much for oiler skin types because of its super creamy formula. 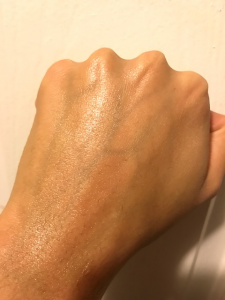 As an aside, I think the Paula’s Choice 8% AHA Gel (full review) would be better suited for oily or sensitive skin, or those who breakout from products easily. The gel makes it less irritating on the skin and eliminates fatty alcohols which seem to be clogging for many people. I remember on your Malassezia article that Dan’s AHA had two asterisks (which means they contain esters or polysorbates, which do feed Massezia). In my particular case, I don’t believe I’m Malassezia probe, but I’m not completely sure. Would you still recommend this product? Thanks in advance!